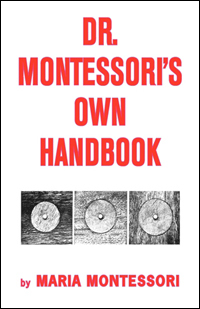 Hardcover edition of Dr. Montessori's Own Handbook by Maria Montessori. Scientific pedagogy as applied to child eduction in "the Children's Houses" including chapters on methods in motor, sensory, language, and writing education. Educators will appreciate having this classic hardcover in their collection.